The remains of the Vesone domus were uncovered in 1959 during archaeological excavation before construction work. 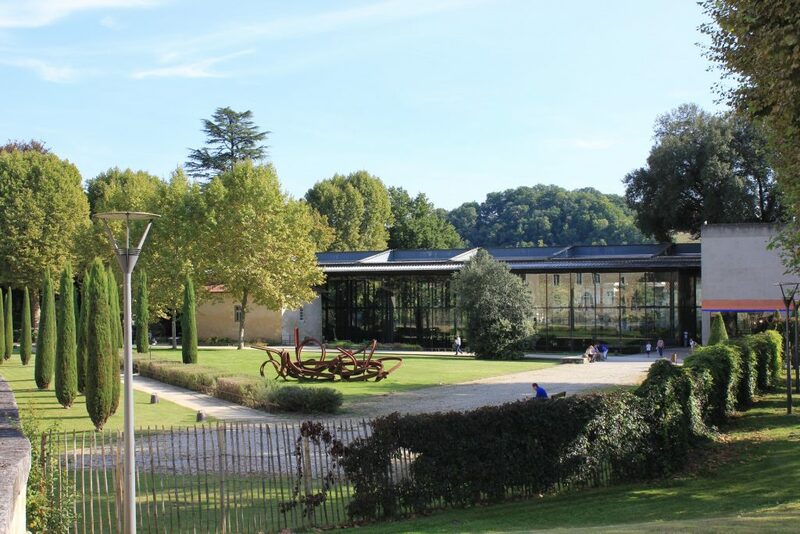 Since 2003, the site is housed in a contemporary building designed by Jean Nouvel (known for the Quai Branly, Abu Dabi or even Sarlat). The concept is one of an open window to a distant, buried past. It’s like a large umbrella floating above antique walls. 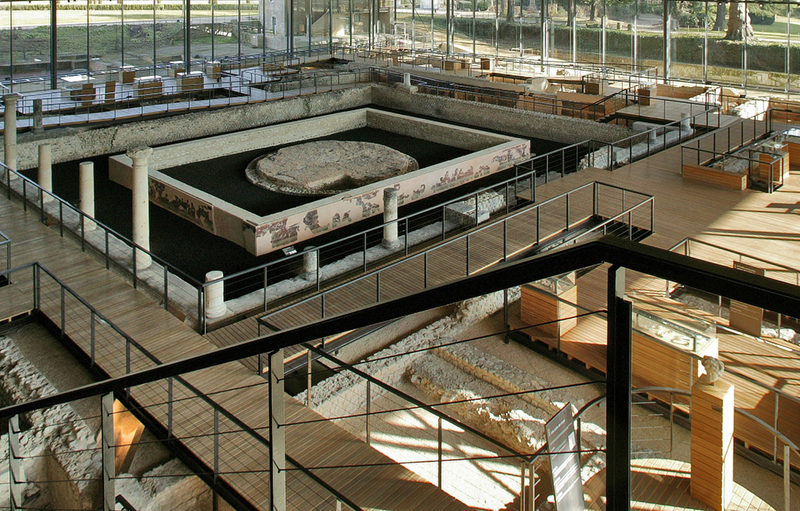 The antique town of Périgueux was founded around 16 B.C. when, after the conquest of Gaul by Julius Cesar, the province of Aquitaine was established by August the first Roman Emperor. The town’s name was Vesunna and it became the capital of the Petrucores’ territory which was approximately the equivalent of modern-day Dordogne. 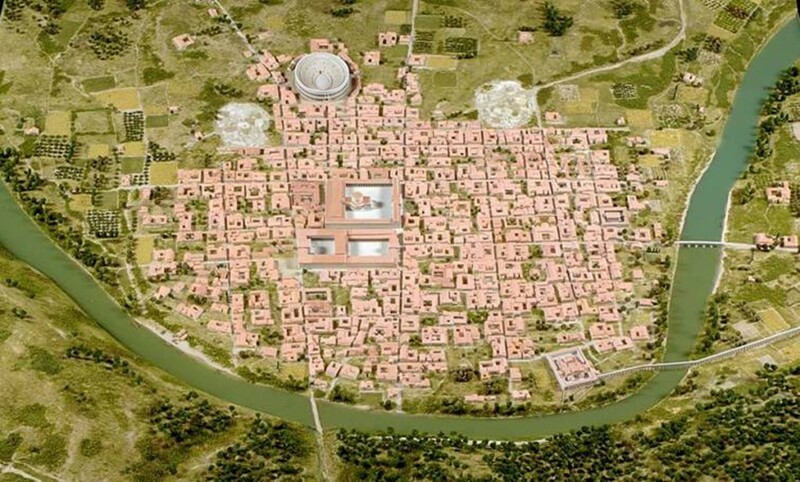 The architecture and urban planning of this new town were to be the expression of Roman order and to promote the adoption, by the local population, of a new way of life. Around 40 B.C., the town already had a ‘forum’ and the amphitheater was under construction. The temple, known today as the ‘Tour de Vésone’ or Vesone Tower soaring in the museum’s park, dates back to the beginning of the 2nd Century. As in the rest of Gaul, prominent citizens, usually of local, Gaul decent, handled public matters. 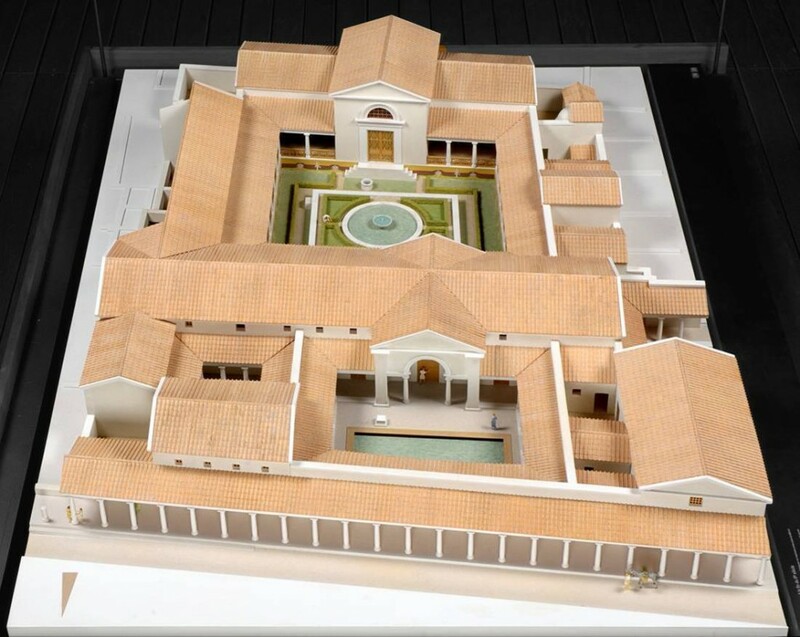 They personally financed the construction of monuments and owned the most beautiful homes (domus in Latin). The Vesone domus, erected in the 1st Century, is an example of the construction. Its size and location in the center of the town leads us to believe that it belonged to one of the richest, local, aristocratic families. Towars the end of the 3rd Century, after an economic recession, the town was dismantled, stone by stone, and a fortified wall was constructed. This was the beginning of a new urban lifestyle, Christianity slowly spread throughout the region. The museum collection exhibits the objects uncovered in the antique town and the surrounding territory. 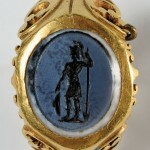 They testify to the lifestyle of the population and their contacts with the Roman Empire as well as their attachment to Gaul customs and practices. Audioguides are available in five languages: French, English, Dutch, German and Spanish. We also have audioguides for children to make them discover the museum in a different way. They are available in French and Dutch. You are a group of 20 or more persons and would like to visit us? Please contact us to book your visit and have a guided tour in English. You are a teacher and would like your students to discover the museum, we can welcome you and perform a workshop in English or a guided tour for you. Vesunna is completely accessible and equipped with an elevator. If you have any question about English tours, booking a visit, receiving children, feel free to contact us here. We will get back to you as soon as possible.